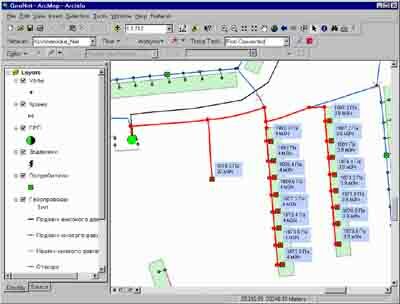 Regional automated control system of gas supply is a corporate geographic information system built on a client-server technology. The system is designed to support decision-making, automation of technological processes of supply and distribution of gas in the gas distribution company, and consists of a number of functional subsystems. the level of area of gas supply. the level of area of gas supply M1 500. Within the system automated solution to the problem of hydraulic calculation was done, it allows you to perform the necessary calculations of the gas distribution network during the design process of its operation..